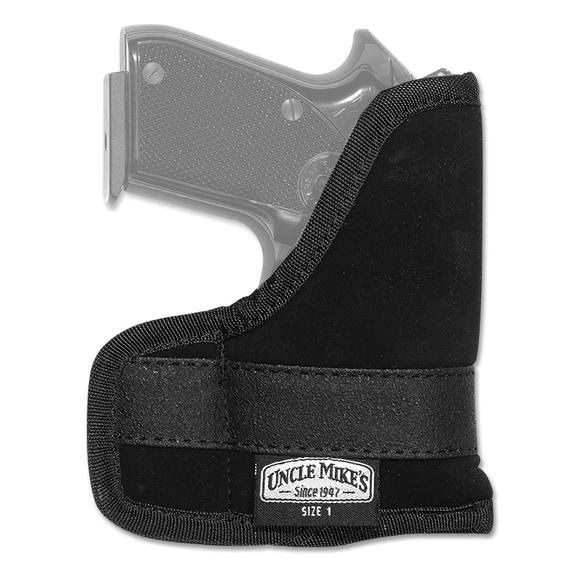 Conceal and keep your firearm safe with the Inside-The-Pocket Holsters from Uncle Mike's. This open-top holster provides grip-up postioning and prevents the movement of levers, buttons or catches that are common to loose pocket carry. Conceal and keep your firearm safe with the Inside-The-Pocket Holsters from Uncle Mike&apos;s . This open-top holster provides grip-up postioning and prevents the movement of levers, buttons or catches that are common to loose pocket carry.